If you are an IT Sales Professional working primarily with customers and clients who need new and used IT Infrastructure Equipment, you know how competitive the equipment landscape is. You may have dabbled in providing 3rd Party Maintenance directly or indirectly or at least know that there is a market there. Maybe you hear complaints and rants from clients about the Original Equipment Manufacturers (OEMs). What I’ve learned is there are two important virtues necessary for making the third party sale: patience and persistence. You will want to study this book to find ways to add 3rd Party Maintenance to your arsenal or enhance what you are already doing in this market. What’s Included in the New Edition? Please fill out the form below to download this paper. 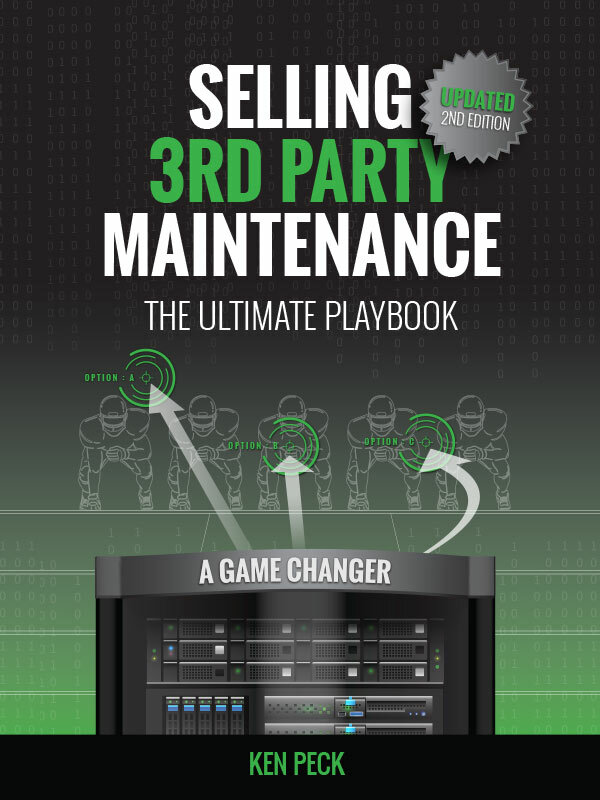 The Ultimate Playbook is a MUST read for anyone considering or currently selling Third-Party Maintenance Services. The updated version breaks the sales process down and matches the process with the buyers journey. The cheat-sheet provides great information and questions for prospects. As a Gartner Salesmen, I use the book to understand: the Key Drivers in the Third-Party Maintenance decision-making process, how to make cold calls as effective as possible with the cold call script, what questions will uncover pain points that lead to procurement & the intricacies of the very complex TPM Market that correlate with sustainable growth. Grab a copy today…….! This is BY FAR the BEST book not only to sell TPM but to understand it to sell it well! Get the updated version, USE the CHEAT SHEET and GO TO TOWN! Great read by a very knowledgeable professional.